Complete systems. We don’t have to look too far into the high-end loudspeaker world to find ’em: Kii, Dutch & Dutch, Meridian, KEF, ELAC, DALI. In the headphone world, sourcing a system in which amplifier output is EQ-d to match driver input is less common. 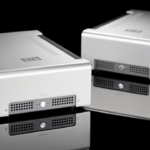 At this year’s Munich High-End show, Warwick Acoustics will formally launch their flagship APERIO: a complete electrostatic headphone system where the streaming DAC / headphone amplifier’s output is bespoke fit to the driver’s input. Warwick’s “Balanced-Drive High Precision Electrostatic Laminate (BD-HPEL)” drivers are designed and manufactured in-house. We could also liken it to a standard family saloon where body, engine and transmission come from the same manufacturer and are sold as a complete pre-built package. The British manufacturer has proven form in the complete headphone system field. Their first offering was the Sonoma M1, which we caught just prior to global launch at Tokyo’s Fujiva Avic headphone festival in October 2016. Like the M1, the APERIO headphones’ earcups are cushioned by sheepskin leather and the amplifier/energizer’s enclosure is made from CNC-machined aluminium. However, the APERIO flagship builds on the M1’s design to put S/PDIF AES and coaxial inputs alongside a USB that doubles as firmware updater. Further, an Ethernet-fed network streamer matches the USB input on bit-/sample-rate support: 32bit/384kHz PCM and DSD 256 (DoP or native). Reporting on the same is the front panel’s full-colour 5.1cm display. On analogue hookups, we also note an expanded feature set: single-ended and balanced XLR inputs plus single-ended and balanced XLR outputs, with switchable +5dB of gain, to feed a power amplifier or pair of active loudspeakers. 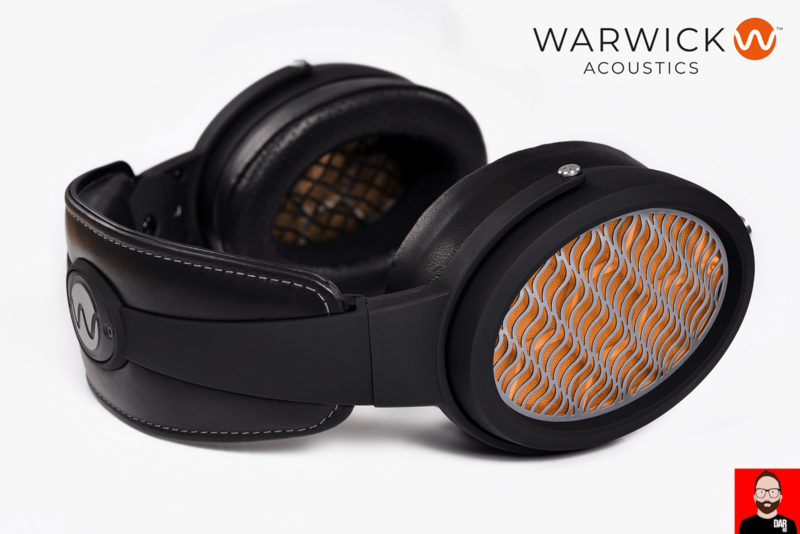 Warwick Acoustics’ open-back electrostatic headphone join their discrete MOSFET (with high Class A bias) energizer (amplifier) via a pair of 4-pin connector. The all-important EQ – designed to maximise the headphone’s performance – is executed in the digital domain (DSP) for PCM sources but in the analogue domain for analogue and DSD sources. Each APERIO system ships in a watertight, crushproof and dustproof Polypropylene case with a full set of measurements. 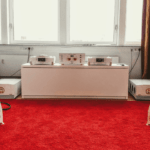 Get your own ears around Warwick Acoustics’ APERIO system at the M.O.C. (Hall 1, stand C11) between 9th and 12th May.